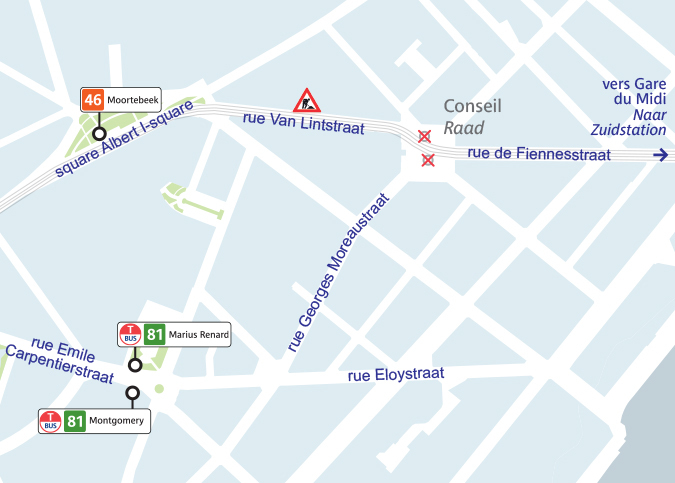 The tracks and the sewer in the rue Van Lint/Van Lintstraat in Anderlecht are worn and must be replaced. These works require the disruption of tram line 81. 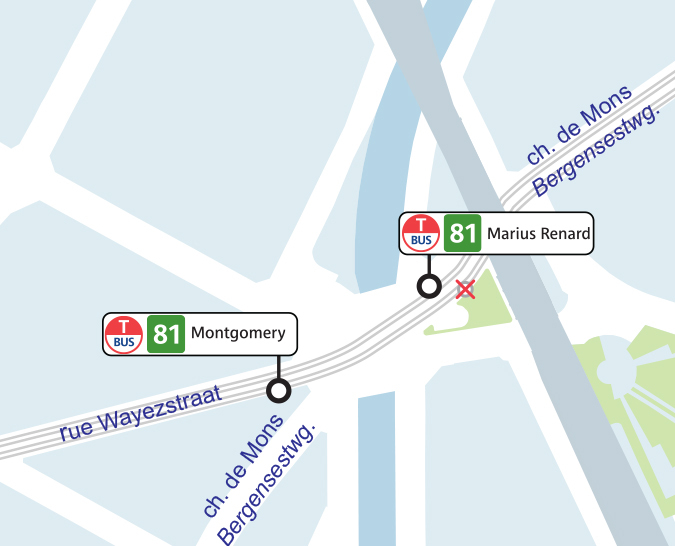 Tram 81 is replaced by a T-Bus between the stops Gare du Midi/Zuidstation and Marius Renard. 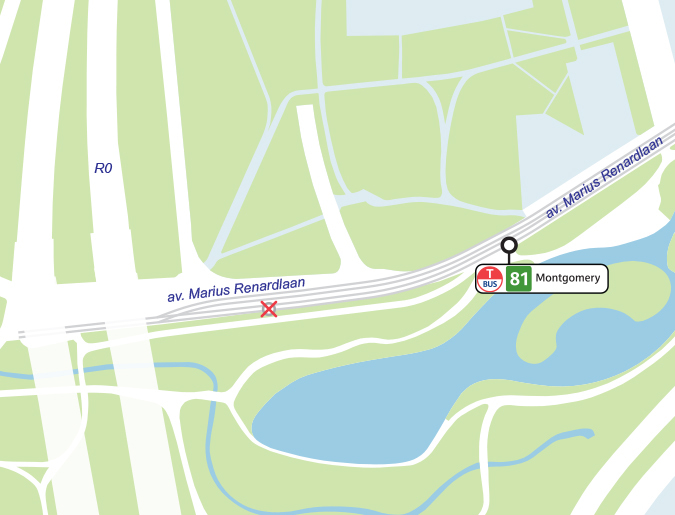 The T-Bus is diverted between the stops Gare du Midi/Zuidstation and Cureghem/Kuregem. 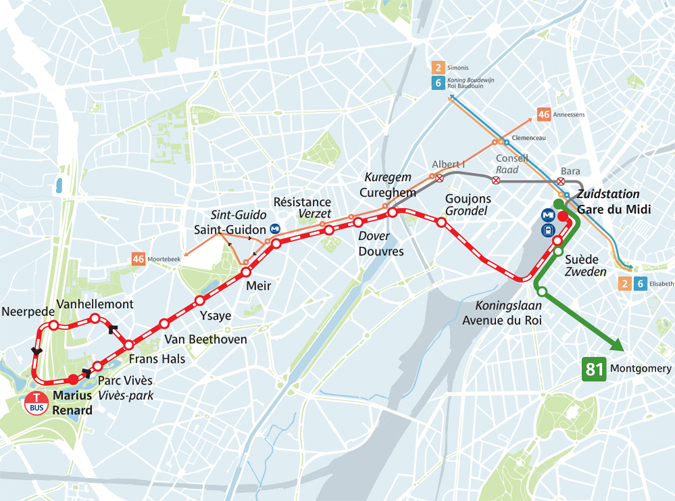 The stops Bara, Conseil/Raad, Albert I and the stop Parc Vivès/Vivès-park towards Marius Renard are not operated.